Turn your payments into a customer touch-point to increase sales. 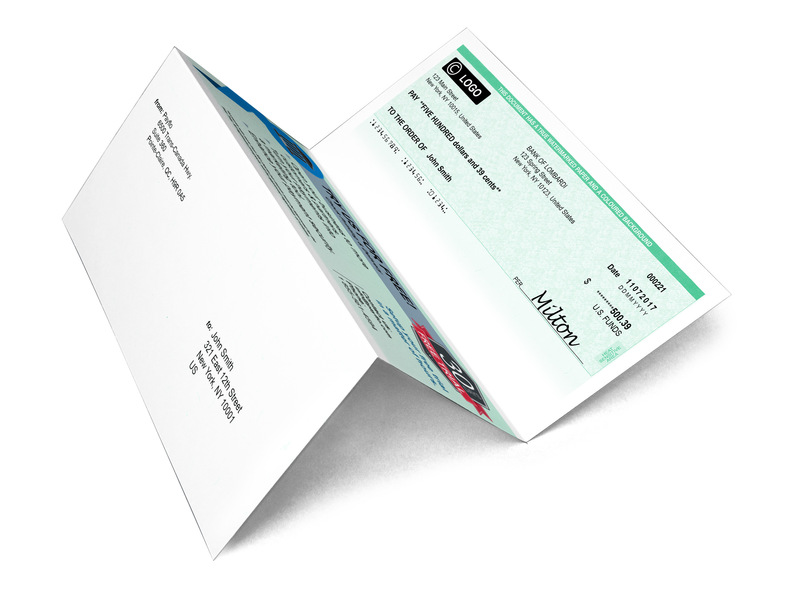 Add your logo and brand colors to your checks and include a promotion as a part of your check. High quality brochures and/or branded merchandise can be sent with checks to maximize the opportunity to turn checks into a marketing touch point. Add your company logo, customize the ad space and choose the color of your checks. In addition, you can insert marketing material with your checks and transform a payment into a powerful marketing touch point.